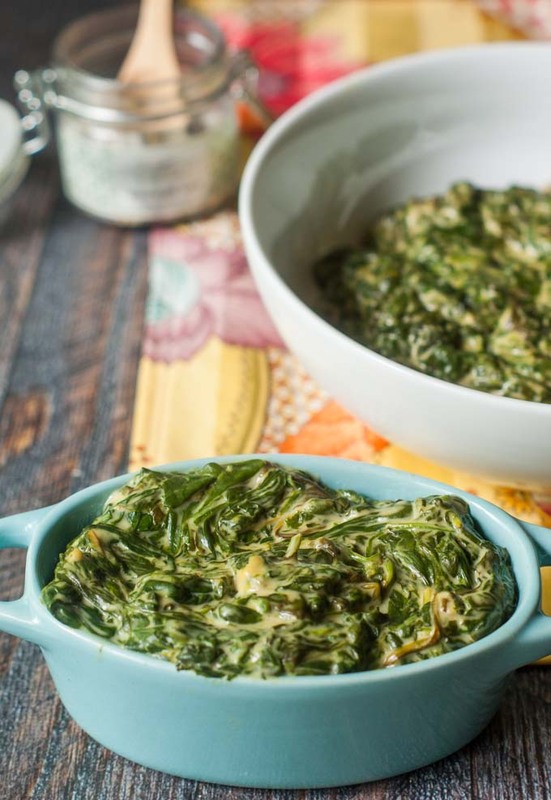 This 3 ingredient slow cooker cheesy spinach is a rich and tasty, low carb side dish that you can make in no time at all! Each serving is only 2.6g net carbs. 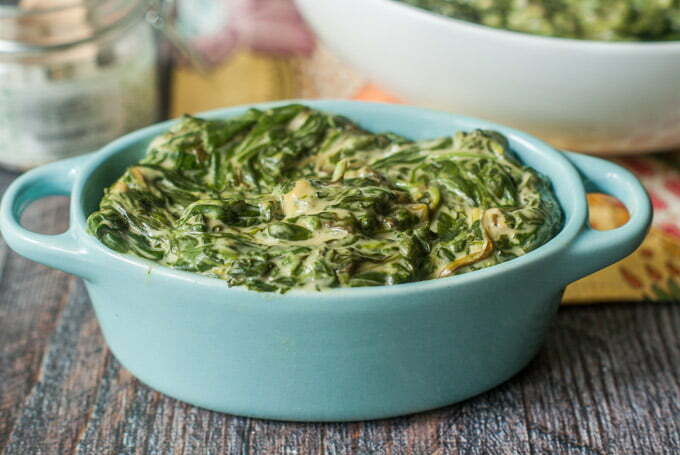 Creamy spinach is not something that I grew up on. Actually I don’t think I ever had it until Boston Market came along and I had it there. Now I love it and since I’m on a low carb diet, I thought this would be the perfect side dish to make. 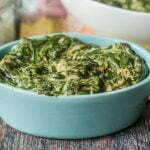 So today I have made for you this 3 ingredient slow cooker cheesy spinach. 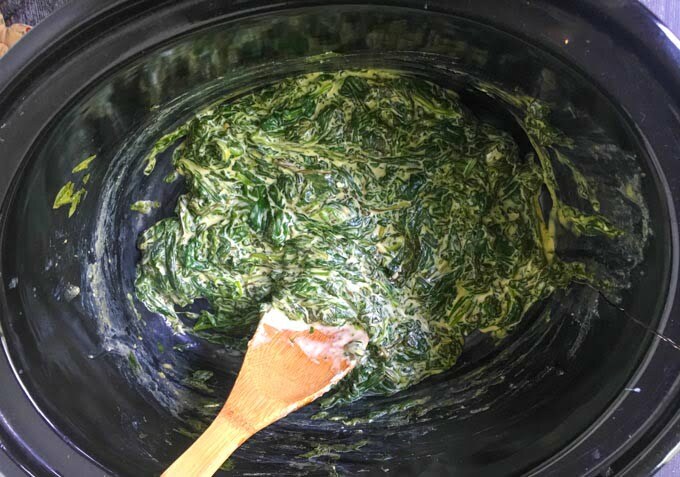 It only takes an hour in the slow cooker but the best thing is that you can dump your ingredients and walk away and that includes 2 bags of spinach! 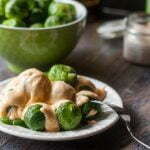 I have a thing for creamy, cheesy vegetables because they are tasty and usually low carb. 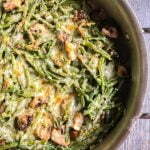 I have made a creamy green bean casserole for Thanksgiving and Brussel sprouts with cheese sauce. But this spinach dish is my favorite. 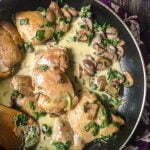 My chicken and creamy spinach skillet dinner is similar to this but more creamy than cheesy but it is out of this world too. So this dish is super easy. You add 2 bags of baby leaf spinach, a block of cream cheese and some cheddar cheese to your crockpot. Turn on to high for 1 hour, then come back and mix it all up. By the way, place the cream cheese on the bottom so it melts on the hot crock. 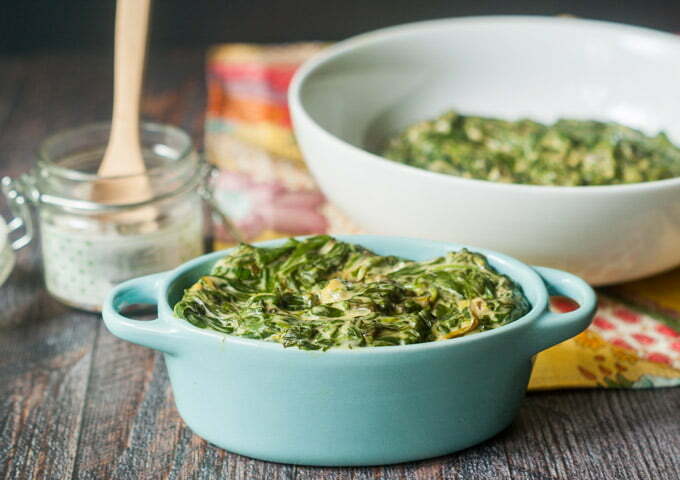 The spinach will wilt perfectly and the cheddar will melt as well. Just mix and serve. The only downside of this recipe is that it only makes about 4 decent size servings. Yes that’s right. I filled the crock with spinach and look how much it cooks down. Now I imagine you can probably add more spinach at this point. I’ll have to try that and get back to you. Regardless, it’s delicious! Add the cream cheese to the slow cooker, then the spinach and lastly the cheddar cheese. Place lid on the slow cooker and cook on high for 1 hour. Take off the lid and mix until everything is well combined. 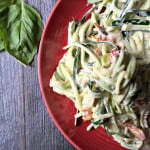 Here are those creamy, cheese dishes for you! Thanks for stopping by Judee! 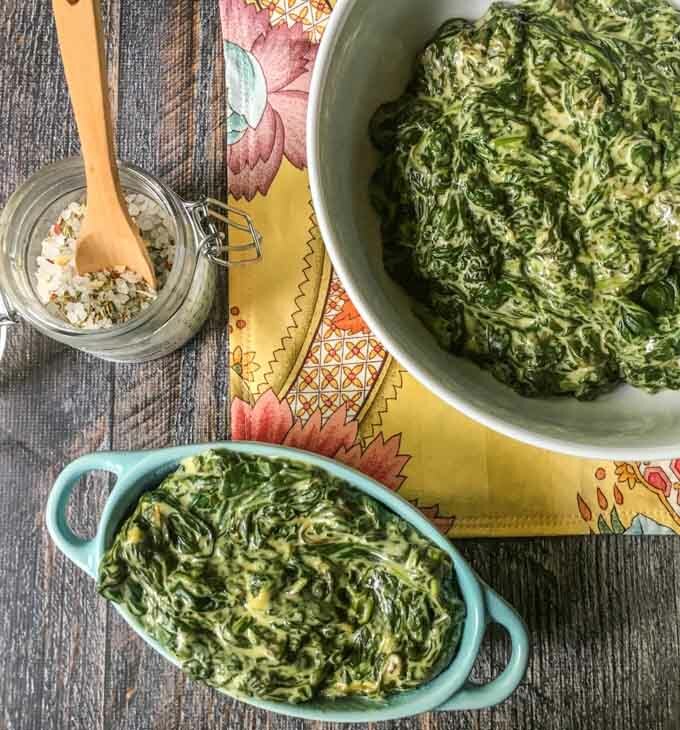 I would never have thought of cooking spinach in a slow cooker. I am absolutely going to try that out. Thanks. It’s nice because you can add a lot of spinach and then walk away. I am disappointed too about the shrinking spinach. Next time I’m going to add more at the end and see if I can stretch it a bit.